Oh chia, let me count the ways I love you. Chia seed is fast becoming the superfood darling of the nutrition and athletic worlds, with its essential minerals, anti-inflammatory Omega fats and satiating dietary fiber. But as it turns out, chia has a whole other set of delicious benefits in the kitchen, too. 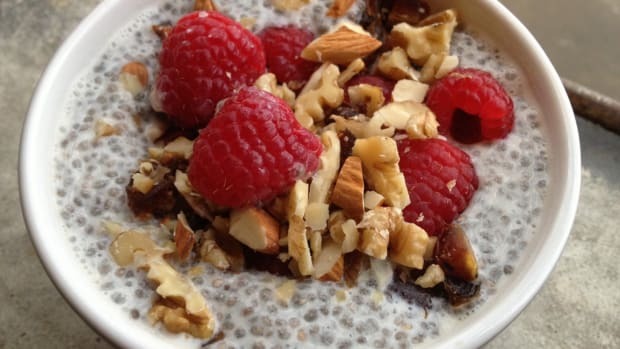 Of course, simply incorporating chia into pre-existing recipes is as easy as it gets. 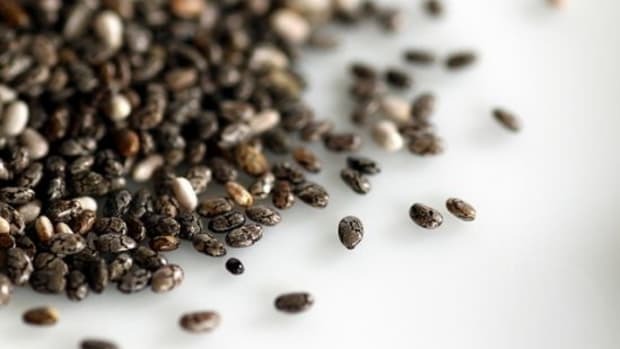 Chia is so tiny that it has very little texture; it has virtually no flavor, and, being a superfood, has very concentrated nutrition that allows it to be used in small quantities while still reaping the benefits. Sprinkling a spoonful onto virtually anything – from cereal to salad to mashed potatoes – is a welcomed possibility. Want to boost the nutrition of your favorite food? 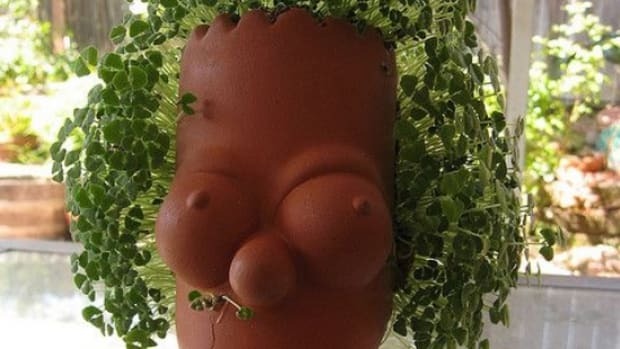 Put some chia on it. But chia has also another benefit that is of particular interest to cooks: mucilage. This gooey substance is found in most plants and helps them retain water. Chia has a particularly high concentration of this substance, allowing it to harbor up to 8-9 times its weight in water when soaked in liquid. 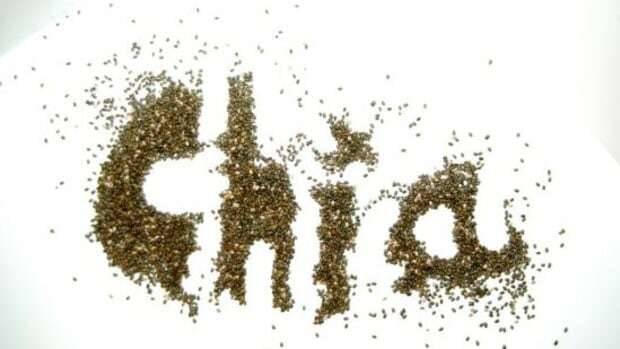 Once fully saturated, chia transforms from an innocent seed into a functional gel-like material which makes a fun textural addition added to juices and smoothies, or can be flavored with spices and nutmilks and made into a delectable “pudding” or porridge that rivals any traditional breakfast bowl. 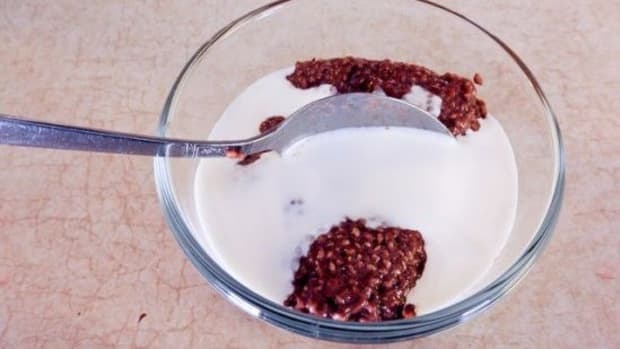 But perhaps the most intriguing function of “chia gel” is its ability to function as a healthy plant-based binder in baking – efficiently taking the place where eggs would normally go. Simply using the soaked whole or ground chia seeds is a profoundly useful and incognito upgrade to baked goods. 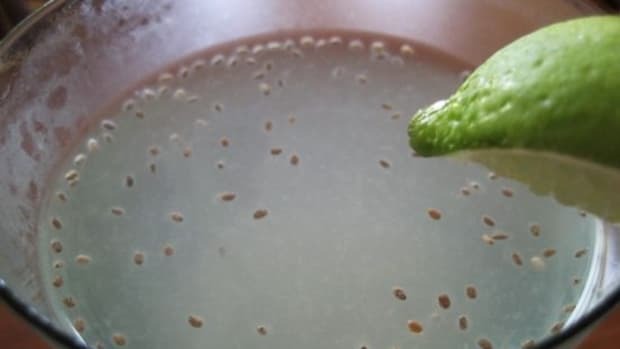 Though it varies from recipe to recipe, in general two tablespoons of chia seed (or chia seed powder) mixed with a third of a cup of water is equivalent to two eggs. I really enjoy using chia in baked snacks, as they provide long lasting energy and help to curb the appetite because of their high fiber content. One issue I take with energy bars it that they’re often too sweet – not every snack needs to be an over the top candy bar flavor. These extra natural bars are entirely sweetened by fruit, and have no added sugar, no honey, no agave… nothing. 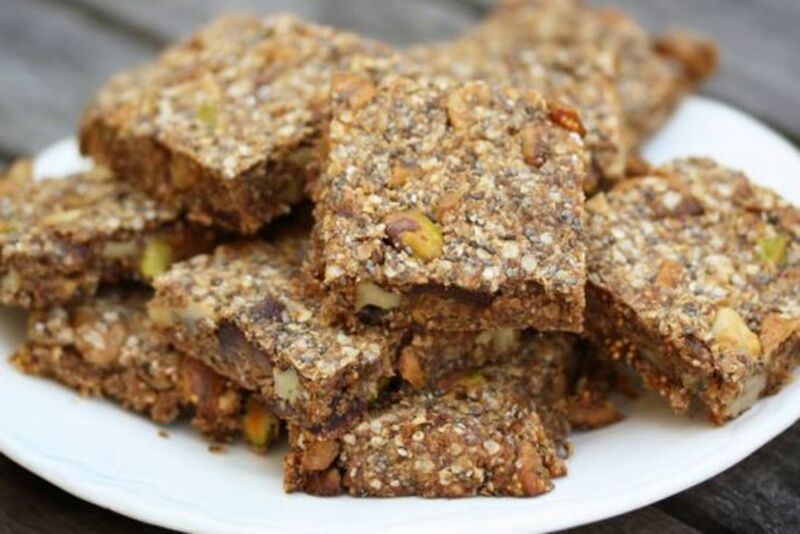 They’re also gluten free and even stash a bit of protein with their quinoa base. And of course, the great chia is responsible for holding everything together in every delicious bite. Grab-and-go energy à la chia! 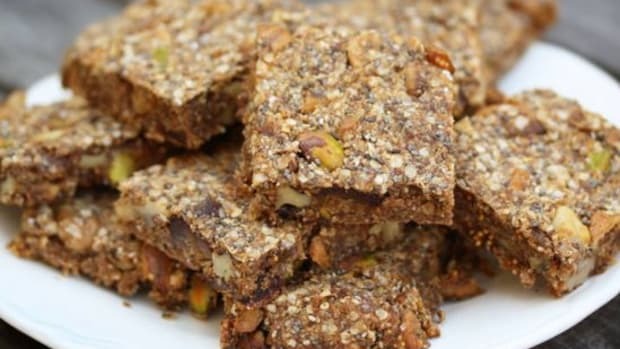 These bars are entirely fruit sweetened, and have no added sugar. Line a 8x8-inch pan* with parchment paper. Combine the dates with the white grape juice and vanilla in a small blender and let soak for 10 minutes to soften. Blend until smooth. Transfer to a small bowl, and add the chia seeds. Mix well to avoid chia clumps, and set aside for 10 minutes to allow the chia to thicken. Meanwhile, melt the coconut oil in a large skillet over medium heat. Add the quinoa flakes, pistachios and walnuts. Cook, stirring frequently for 3-4 minutes until the quinoa and nuts are fragrant. Add the sea salt and cinnamon and cook for 30 seconds more, then remove from heat and transfer contents to a large bowl. Mix in the chopped figs, and add the saturated chia mixture. Stir well to distribute the ingredients and form a chunky dough. Transfer the dough to the prepared baking pan, and press down firmly into a flat layer. Bake for 30 minutes. Remove from oven and let cool before cutting into 16 2x2-inch squares. When wrapped, energy bars will keep up to a week. *If you don’t have a pan this size, line a baking/cookie sheet with parchment instead, and simply hand-form the bar “dough” into an 8x8 inch flat square. Julie Morris is a Los Angeles-based natural food chef and author of Superfood Cuisine: Cooking with Nature&apos;s Most Amazing Foods. An active advocate of whole, plant-based foods and superfoods for optimal health, her recipes and nutrition tips are dedicated to making a vibrantly healthy lifestyle both easy to achieve, and simply delicious to follow. Learn more at JulieMorris.net.